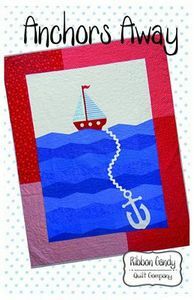 Set sail with this fun and easy nautical quilt. Easy to follow instructions and full size templates, this quilt will be a breeze to make. Perfect to use all those beautiful blues you have in your stash. Quilt finishes 58" x 70".